Hello, today we are going to discuss aquarium salt, it’s uses, how and when to use it and what I really think about aquarium salt. 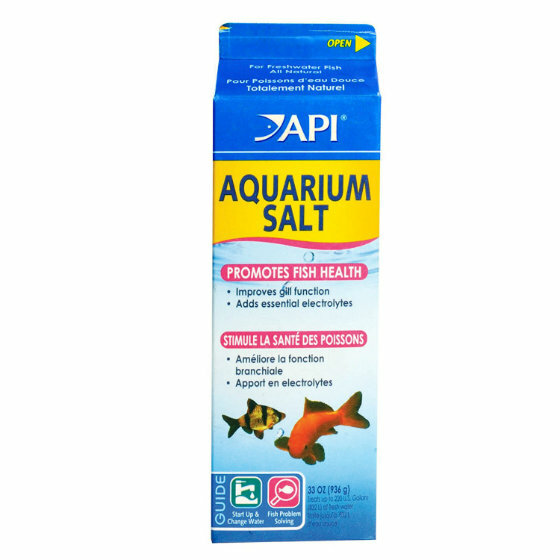 In the photo above you can see a popular aquarium salt made by API. This is the 33-ounce box shown and is pretty big. You can actually get milk carton size boxes of aquarium salt – which is A LOT of aquarium salt. There are a few different brands available but API is one of the most popular. If you’ve never had a chance to see aquarium salt, we have a few pictures below. Essentially it’s rock salt, which is not the same as table salt, so don’t go using this for your next family dinner. Not all salts are made the same! Aquarium Salt is not iodized like table salt is. So just like you don’t want to eat aquarium salt, don’t go using table salt in your aquarium. The results won’t be good. Aquarium salt will actually say on the box that it is safe for Freshwater Fish – so be sure to look for this. What Does Aquarium Salt Do? Aquarium salt can be used to help improve gill functions, heal wounds, get rid of bacteria and adding essential electrolytes. Electrolytes help with oxygen uptake and the release of ammonia and carbon dioxide through the gills. Without electrolytes, your fish can experience serious health issues. It can also be used to treat some diseases, like fin rot and ich. But not all health issues will be solved by adding aquarium salt. What You Should Know About Aquarium Salt? The thing about aquarium salt is that it won’t evaporate out of the aquarium. Which if you use it a lot, you need to pay close attention to. If your directions say to use one rounded tablespoon for every 5 gallons of water, then after a few days if this aquarium salt doesn’t evaporate and you add another dose, you’ve actually added double the amount of aquarium salt to your aquarium. This is because the salt from the first does never actually evaporated. How Do You Remove Aquarium Salt From Your Aquarium? Basically, the only way to remove aquarium salt is to do a water change, which you should likely be doing anyway. Weekly/bi-weekly is recommended depending on your tank size and stocking levels. Be careful about using aquarium salt with a live plant. Some plants can be sensitive to aquarium salt so proceed with caution and consult with a planted tank expert before adding salt to your planted tanks. 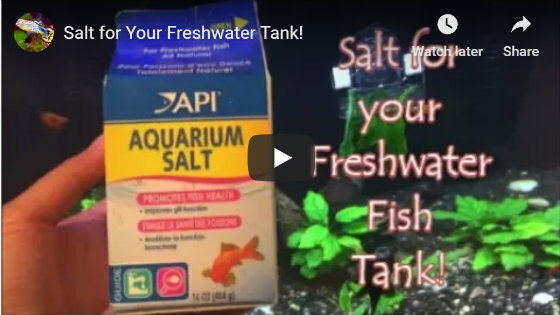 Watch This Video: Salt for Your Freshwater Tank! What Do I Think About Aquarium Salt? So basically this is only my opinion and there are many other opinions out there about its different uses, effectiveness, when to and when not to use aquarium salt. And then there are people like me who believe that you should just use it when it is needed. something you should have on hand just in case. Aquarium salt is definitely essential in my opinion to have on hand if you’re going to be getting into the fish keeping hobby. 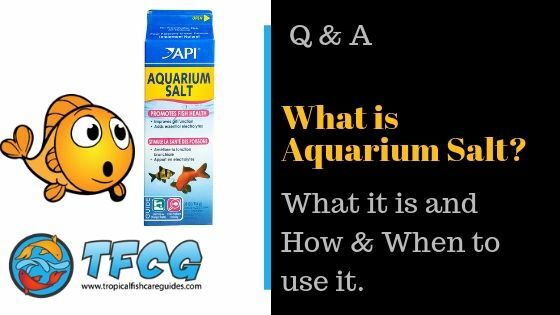 Aquarium salt is very easy to find online or in stores and is relatively inexpensive/cheap to buy and you can get a lot so it will last a very long time. So you should try to keep some handy in the event you need some. I hope you enjoyed this post and if you have any questions feel free to get in touch about aquarium salt or any other related aquarium questions, I will be glad to help out. If you liked this post please share it on Facebook or Pinterest and if you like my content subscribe to sign up to my email list here.